Managing meal and rest breaks in California is complicated even for the savviest HR and Workforce Manager. Unfortunately, many customers come to Deputy after they’ve been audited or are subject to a plaintiff investigation (when an employee ‘lawyers up’ to blow the whistle). As part of the mediation process, businesses are usually required to change their scheduling and timekeeping practice to lessen the damages of the lawsuit. 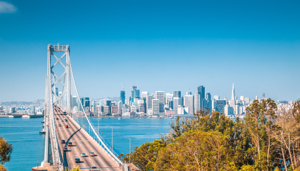 Deputy partnered with Littler Mendelson to cover California meal and rest breaks to help prevent your business from receiving a crippling lawsuit. To help us out, Miranda Mossavar, Associate at Littler, who is stationed out of their Los Angeles, CA office, covers the topic deep and wide. 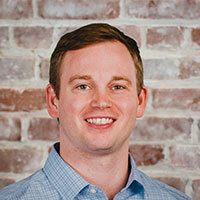 I, Derek Jones VP of Enterprise Solutions at Deputy, will then show how to automate California break planning using the Deputy Workforce Management system. So, sit back, relax and enjoy the webinar! In a jurisdiction with challenging labor laws? Deputy helps with meal & rest breaks, overtime, tip pools, and many more wage-hour issues. The workforce management solution is built from the ground up to adhere to labor legislation like meal & rest break laws and is currently the highest-rated workforce management solution by G2 Crowd. To see it in action for yourself, click on the link below to start your own free trial. Derek: 00:00:10 Okay Miranda we’ll go ahead and get started. So welcome everybody to the Webinar today titled California Meal & Rest Break Compliance What to Know and How to Comply. The webinar is being recorded, so we will have a recording available to all registrants and attendees within about 24 hours of the webinar. And the webinar is going to run approximately 60 minutes, and we will have plenty of time for question and answers. But, if you would like to ask questions as they come up you can certainly type those in to the Zoom panel, and we’ll save those until the end and be able to answer your questions. Derek: 00:00:51 So with that I am going to advance the slides here. So there is a legal notice here. Miranda would you like to … Is there anything that needs to be covered there? Miranda: 00:01:04 Yeah, hi everyone, my name is Miranda and I am a Labor and Employment Attorney with Littler Mindelson, that’s my picture, it’s a little dated, but I’m located out in our California, Los Angeles office. But Littler has offices all over the world and a number of offices in the United States. And we are, all we do is focus on labor and employment issues for companies and so today we’re going to be covering some of the most prominent issues that you all are probably facing, which are meal and rest break issues in California. So you can go to the next slide, the legal notice is just sort of a warning that it’s, that it’s, you know, we’re not in an employment relationship, and I’m not technically giving any single person advice. More generally just that we are doing this presentation. Miranda: 00:02:01 Excellent, so our presentation is going to be covering, you know the big things in California are Meal and Rest Breaks, Record Keeping Requirements, Tips for Compliance because as employers you know that if you have companies in California, one of the biggest things that you want to be mindful of is avoiding any sort of wage and hour class action because those are extremely expensive and time consuming pieces of litigation that occur out here. And so our goal today is to make sure that at a very basic level you all have an understanding of the importance of complying with at a minimum meal and rest break requirements out here, which Deputy is going to help you do. So we’re going to go through those basics today, and you can go to the next slide, and we will start. Miranda: 00:02:59 So in California there are a lot of laws that focus on Meal and Rest Periods, and those laws are covered in different Code sections and case Law. So we’ve got Sections 11 and 12 of what’s called the California Industrial Welfare Commission, Orders 4 and 5. We have the California Labor Code Section. There’s Section 45 of the DOL and then there’s state and federal case law. And so there is a breadth of information out there that’s setting the guidelines for how employers are supposed to go ahead with providing meal and rest breaks to their employees in the State. A lot of it will depend on which wage order you’re governed by. Whether you’re governed by 4 or 5 and we will continue to cover that. You can go to the next slide. Miranda: 00:03:53 So under California law there is an obligation to provide meal periods to non-exempt employees who work more than five hours in a day. And just to really quickly touch on that. There’s a difference between exempt and non-exempt employees, and that’s another whole conversation we had because a lot of folks get the classification of their employees wrong. But typically your non-exempt employees are the ones that you are paying hourly and are performing certain duties that qualify them to be non-exempt. And, if you have these folks you have an obligation to make sure that you’re offering them a meal break if they work more than five hours in a given day. So you don’t have to literally force that they take a meal break, but you really should be doing everything that you can to ensure that your team to provide your employees the opportunity to take meal breaks, and you should be tracking meal break compliance. And that is you should be tracking employees punching in and out for a meal break so that they can’t later come back and say that they never got their meal breaks. Miranda: 00:05:07 This is something that we see a lot. We want to make sure that our clients are very careful that they are not only alerting their teams to take meal breaks but also following through to make sure that their folks are actually clocking out and taking those breaks. You can go to the next slide. Miranda: 00:05:28 So under what circumstances do you have to provide a meal period? So like we mentioned a second ago, all employees that are non-exempt have to be given a meal period if they are working more than five hours. So when you give them a meal period you have to make sure that they’re relieved of all of their work duties. So for example, I have clients who are in the retail industry, and their sales associates will hop out to take a meal break, which they typically don’t want to do because it conflicts with their ability to sell and make commission. But during that time, while they’re taking their break they should not be getting texts, like requesting that they come back on the floor. They should not be getting any sort of emails, they should not be bothered at all. So the meal break, which needs to be at least 30 minutes, needs to be completely uninterrupted. Miranda: 00:06:26 You don’t want them coming back and saying, “Yes they told me to clock out but then they would ask me questions while I was on my break, or I was expected to do A, B and C.” That’s very important because a lot of times clients can show that they have their employees clocking out, but in these wage and hour class actions, which are very expensive, the employees will come back and say that they were forced to do work. So you want to do everything you can to defend against that kind of a claim, including letting your employees leave the work station or work location. So for example, if again, if you’re a retailer and the other setting, they should be allowed to leave the store and do whatever they want. The exception to this would be if they are working in a hospital. Short of that I would really encourage them to know that they, while they can stay in the break room they are free to go do whatever they want in this time. Miranda: 00:07:19 Now depending on how long their shifts are they may be entitled to more than one meal break. But you cannot combine those two meal breaks into one, so meal breaks need to happen at different points in each shift. So some employers want to combine the 30 minute breaks into one hour at one time. That is not okay, you need to separate them out, and the meal periods are unpaid. So that means while you do pay for rest breaks you are not going to be paying for meal breaks. Now if somebody has, there’re certain times when folks cannot take a meal break. One of those times is if they execute what’s called On Duty Meal Period Agreement. Miranda: 00:08:05 This is not normal, but you can have this arrangement where you can agree in writing, it has to be in writing, that the employee will work on duty and that time is counted as time worked, and you are paying them for that. However, the opportunities to provide an on duty meal period, are, there’s only certain circumstances where that’s really okay. So before you think about rolling that out definitely talk to an attorney and make sure that a court will see kindly on that. Typically, I see these being executed where the nature of the work prevents the employee from being relieved of duties. So if you’re a security guard and there’s nobody to replace you while you take your meal break you could, you know, take an on-duty meal period agreement and that would exempt you from having to take a 30 minute off-duty meal. Miranda: 00:08:57 The other example, I think it’s on the next slide, let’s see, oh no, the other example is if you work a shift less than six hours you can waive your meal period. Okay but again, that’s only if you’re working a shift six hours or less. So again, before you think about allowing your staff to do that, it would be a good idea to check with an attorney to make sure that your business, that that would be appropriate for your business and that’s a better decision than just offering the breaks. Miranda: 00:09:31 Now again meal periods have to be no less than 30 minutes and if you have a rounding process, which with your time clock, make sure that that does not make your break any shorter than the 30 minutes. And the 30 minutes begins when your employee leaves the work area and starts their break. So it’s not a matter of your employee leaves, goes gets food, comes back, and then the 30 minutes starts. The 30 minutes starts as soon as they clock out, and they are free to do whatever they want. But it has to be at least 30 minutes. You can go to the next slide. Miranda: 00:10:15 I touched on this a minute ago. So you can waive your meal period if you’re working more than five hours but no more than six, you can waive one meal period. However, if you have a staff of employees, and they are working in excess of 10 hours, they can only waive one meal period, they still have to take the other meal period. And if they’re going to waive a meal period it can’t just be a situation where you are having a casual conversation, and they tell you okay, we’re going to waive a meal today. You have to actually have them execute what’s called a Meal Period Waiver Form and that employee can change their mind at any time and revoke that waiver by providing written notice, and the employer can also revoke the waiver. So keep that in mind, and the completed form has to be totally voluntary, you can’t force your employee to waive meal periods just because they are working less than six hours. Miranda: 00:11:16 So that’s another thing to keep in mind and this chart I think is really handy to sort of lay out for those of you who have long shifts or, you know, any type of a shift, the number of meal periods that your employees are entitled to. So for example if the shift is no more than five hours, they don’t have to have any meal period. If it’s over five hours but no more than six they have one. If it’s over six but no more than ten, they still have one. However, if you have folks working overtime hours then they get two meal periods. So keep that in mind. So for those of you who have folks working overtime you may be triggering a second meal period. And if they are working more than 15 hours they get one meal period for every five hours worked. Derek: 00:12:09 Miranda one question that’s come up here from the participants is on the nature of the waiver being voluntary. The manager/supervisor asks is that really voluntary, it could feel like pressure, you know, could you, have you run into those scenarios and sort of is there general guidelines on how you might think that employers or supervisors should really make sure that voluntary really means voluntary. Miranda: 00:12:40 Absolutely, that’s a great question. So the key thing to this is having a written waiver form that clearly reflects that it’s voluntary and there’s no retaliation to be had for not executing the form. Right? So this is going to kind of go hand in hand with also making sure that you guys have a good system in place where if an employee feels like a manager is pressuring them to do something that they don’t want to do that they have an outlet, somebody above or an HR line they can dial and report such an issue. So first thing I would suggest, as a manager I would not go to your employees and encourage them to do this. You can let them know that it’s an option that they can exercise if they’d like, but I would not be pushing this as an option on the employees. Right? Miranda: 00:13:29 It’s better to let them know that it exists, if they want to do it, they can do it, and then you sort of take away that element of making them feel like it’s forced or it’s expected. Because remember the law wants them to take the break. The policy is that, the idea is to give people a break so that they’re better rested and they able to do their job more efficiently. So we really do encourage the breaks, the waiver is sort of the norm, I mean it’s not the norm, it’s sort of an exception to the rule. Miranda: 00:14:00 I know I’m anticipating some people are going to ask, do you need a waiver for each shift? Or can you have one standing waiver and that’s a great question. I’ve been employers do it both ways. I think logistically asking to have a waiver each time is a bit much. You could have a standing waiver in place. The only tricky thing about that is you want to make sure that your employees know they can revoke it at any time. And if you’re ever confronted with this as an issue you would want to be able to show examples of people who know they can revoke it, have revoked it, have reinstated it. So it’s about having really clear and good communication with your employees. Miranda: 00:14:42 The waiver is tricky though, and I would encourage you guys to seek counsel if this is something that you are interested in doing just because you want to make sure that you do it right. That the language in your waiver protects you and protects your employees of course. And that you’re not stepping in any sort of land mines because again, I’m going to say this a lot throughout the presentation. I do a lot of class action work in California and I will tell you that meal and rest break claims hit every single class action that I’ve ever worked on. And it’s not just those claims alone, those claims will trigger another of other penalties. So you really want to be very careful in this arena. These cases are way more costly than any sort of single plaintiff discrimination or harassment case typically ever is. Miranda: 00:15:33 Really quickly, since we’re on the subject of these class action’s, all it takes is one employee who thinks, and this is typically how they work. You’ll have an employee who’s been terminated for something and they will be, they’ll be disgruntled that they’ve been terminated and they will go see an attorney and they’ll say to their attorney, “I feel like I was wrongfully terminated because I made a complaint about ABC or because I’m of a different race. The employer will review the file and decide there’s likely not a lot of merit to it, but then they’ll ask, “Hey were you given your lunch breaks?” Or, “Were you getting your rest breaks?” And the employee will be like, “No, I wasn’t.” And the next thing you know, this one person can file a complaint purporting to represent all of the employees in California that work for this company. And, they don’t need the permission of the other employees to file the complaint. Miranda: 00:16:23 Now you as the employer are looking down on a class action which could have, you know, just a lot of legal extensions associated with it. So when we say take these meal and rest breaks claims really seriously it’s because they are your best line of defense against these types of class actions. Having good policies and practices which Deputy can certainly assist you with is critical to being able to defend against these clients. Derek: 00:16:46 I think you point out, I remember driving down the Pacific Coast Highway in California and I think was around the Temecula area and like you’re driving through beautiful wine country and you see these billboards, and the billboard it’s really asking, like how are you paid? Contact us. Derek: 00:17:07 And just, you know, I believe these are groups who just know that employer practices are not caught up to speed or maybe they just don’t think it’s an issue. I think that will shock you. I saw two or three like on a hundred mile stretch of highway and I think that just underscores, sort of, it only takes one to sort of start a claim. Miranda: 00:17:30 It’s crazy and the thing about the claims is there’s just a lot of liability depending on the number of employees you have. Because each of these, a failure to provide a meal break will trigger a waiting time penalty and it’s the penalties are where you’re going to get killed in terms of liability. So they’re really serious and for anybody who’s conducting any business in California I would really encourage you to make sure that you are taking a really close look at your policies and make sure those are compliant and that you’ve talked to somebody about the way you do your meal and rest breaks at a minimum. I mean there’s a number of other things but those are two easy things to make sure that you’re doing right to protect yourself against these things. Miranda: 00:18:14 I’ll just say, really quickly, I mean I myself had a Nanny for my son and doing this line of work, I trust no one, even my own Nanny, and you know I put her on payroll and I made her fill out a time sheet and I mean I take it that seriously because these, people can sue going back four years for liability. So it’s a very hard State to do business in and you know, you just really want to bring your A-game and these types of cases last a long time, they’re expensive so we want to make sure that you’re ahead of that in doing everything you can to be prepared if you’re ever faced with such a thing. California is not a place where you want to be going to jury trial or having a judge deal with these. It’s a very employee friendly State, and the place as far is very strong and they’re very well connected and they are all about referring to each other. You know somebody who does wrongful termination has a hundred contacts, they can refer to in the wage and hour world. Miranda: 00:19:18 So, and I just saw a question pop up, I know we’re waiting until the end. Yes meal and rest break claims can go back four years. Typically, they’re three and then someone will add, in almost every single case, will add a specific code section claim which will extend that liability back four years. Yeah, so you want to be really careful. So it’s important to make sure that your policies are up to date, that you are doing this correctly and that you are complying as best you can so I think Deputy is just great for this. I’m really impressed by the product, so moving on. Miranda: 00:19:57 So when must these meal periods occur? So like we’ve been saying again. On or before the end of the fifth hour. So this is really critical. It’s not just a matter of providing the meal period. It’s also the timing of the meal period that’s important. Because if you’re giving your employees a meal period. Let’s say they work an eight hour shift and their taking the meal period at hour six and a half, guess what, that wasn’t a valid meal period and you owe them a penalty for that. Which is one hour’s worth of their hourly rate. Miranda: 00:20:31 So a really critical take-away is not only do you want to give them the meal period in the first place, but you want to make sure that you’re giving it on time. So you should always be very mindful of scheduling meal periods to occur closer to the four hour and 15 minute mark so that you have built in time in case the employee is finishing up something or you know, they’re helping a customer, whatever it is that they are doing to make sure that they are not running up against that fifth hour if you can help it. Okay? Miranda: 00:21:06 Same thing goes if they are working more than 10 hour shifts. This charge is really nice, it lays out the meal period time-line and the effect of the waiver. Again, if you have the waiver in place they won’t need it over the fifth hour but, again we’ve discussed the trickiness of waiver, so if I had the waiver I would just make sure you’re very clear on the time-line for them. We can go to the next slide. Miranda: 00:21:35 Same thing, so I don’t know how many of you on this line have employees who work more than 10 hours. There’s a surprising number of folks who do. And so again make sure that if your folks are working more than 10 hours they’ve got the second period beginning by the end of the 10th hour. And if you do have folks that are working over 15 hours, now we’re running into a third meal period. So a big take-away. I’m going to repeat it again. Is not only do you need to have, provide the meal periods but also make sure you are providing the meals on time. Miranda: 00:22:11 So next question. The next slide is Rest Periods. Okay, so that was meals, now we are in rests. Rests are a little different and they’re a little trickier because with rest periods you’re not actually having the employees clock out. You are paying them for a rest period. So an employer must authorize and permit employees to take rest breaks no less than 10 consecutive minutes for each four hours worked or any major fraction thereof. And it should also occur near the middle of the work period. Miranda: 00:22:45 So we’re going to touch on rest periods. These are always a little harder to defend against because there’s no record of no one’s signing out for a rest period because they are paid, so you really, really want to be mindful of communicating to your employees that they are allowed to take rest periods. They should take rest periods and be very clear about the number of rest periods they take. We can go to the next slide. Miranda: 00:23:09 So under California law the obligation is to authorize and permit rest period. Again this applies only to your non-exempt employees who work three and a half hours or more in a day. They are always paid as work time. You’re not paying any additional wages for the break period they are counted in the employees scheduled day. Now the thing that’s tricky about rest periods is sometimes employees will say, “Hey can I just start 10 minutes early or leave 10 minutes later?” No, you cannot, and you cannot add rest periods to make your meal periods longer. So we have a lot of, I see this a lot in the hospital industry or the in the home health care too. They’ll want to just make one lump break if they can. They cannot do it that way. They need to be taken separately. Remember this is public policy behind the State in providing these. Miranda: 00:24:11 If to allow people to take breaks throughout their shift so that they are not feeling overwhelmed the stress of working for long periods of time. And you know, a break needs to be 10 minutes. So it can’t be that they pop out, smoke for three minutes, come back in. I don’t know how long it takes to smoke, honestly I don’t smoke. But let’s say it takes three minutes to smoke a cigarette, they can’t pop out and do like three different three minute breaks. These should be 10 minutes and each increment should be 10 minutes, uninterrupted. They can smoke, they can do whatever they want and we’ll touch on that some more in the coming slides. Miranda: 00:24:50 So this one, employees may tell you, again they may want to waive their rest periods. I would not let them do that. Even if they want to. Here it says employees must indicate they are voluntarily waiving each rest period. I actually think that you should not let them waive their rest periods. You should notify them that are authorized or permitted to take it. If you have a written policy your policies should be very clear on this. Going back to the example of the wage earner or class actions, one of the best ways to defend against a wage earner or a class action that has a rest period claim is being able to point to a policy that’s legally compliant. That has the right language in it so even something as simple as your policy saying that a rest break has to be authorized every four hours is not sufficient. It’s every four hours or major fraction of that. Miranda: 00:25:46 So you want to make sure that your handbooks and policies are really compliant and so you can show those to a trier of fact and say, “Look we have these policies in place, our management team has encouraged rest periods and folks know that they are supposed to be taking a rest period. So if they don’t it’s because they choose not to. But, you know, we highly encourage it and they are supposed to be taking their rest break. So I would not recommend missing them. Miranda: 00:26:14 So similar to the chart for meal breaks, here is a chart to give you an idea of how often what should trigger what last breaks. So if they are working less than three and a half hours they don’t need to get a rest break. If they are working three and a half to six hours they get one. If they’re working six hours and one minute to 10 hours they get two. If they’re working 10 hours to 14 hours they get three and if they’re working 14 hours to 18 hours, they get four. Miranda: 00:26:53 Again they are not supposed to clock out for those breaks. Rest breaks are paid. Your supposed to be paying them for that time but you should also let them know they can leave the premises, just like with lunch breaks you do not want to interrupt them. No work related questions should ever be asked during a rest break. You have to just sort of pretend like your employee is not there when they’re on a rest break. A bathroom break is not a rest break. So sometimes you’ve got folks saying, “Well I let my employees go to the bathroom whenever they want.” That’s not a rest break. A rest break is 10 minutes uninterrupted do what every you’d like. Miranda: 00:27:32 Smoke breaks however are treated as rest breaks. But again, like I mentioned you want to make sure that they are long enough in length. I really want to reiterate not to combine the breaks. People are really tempted to do that. Do not, you can give them more breaks then they are allowed to receive under the law. So for example, if you want to be really generous you can let them make their 10 minute break a 20 minute break. But then they also still later get another 10 minute break. Do not require your employees to stay on premises for their rest break. Miranda: 00:28:08 If an employee asks for a rest break but the timing isn’t great, it’s not good, you can postpone the rest break, but don’t ignore it. Make sure that they do get their break. Employees with certain medical needs can get longer or additional scheduled breaks. That’s a whole other topic for another slide to talk about. That’s an accommodation so we want to just be mindful of that. Yes, employees can leave during paid rest breaks. And don’t say, “Hey, we’re giving you a rest break but I really don’t want you to take it.” Because that’s going to come back and cause a lot of trouble for you. So you want to make sure that whoever’s in charge of implementing these rest break policies is very aware of the meal and rest breaks policies and doesn’t just say, “Hey, you get these, but we really don’t want you to take them.” That’s almost as bad as not giving them in the first place. Miranda: 00:29:01 So if there’s a day, like let’s talk about if there’s a day where you have somebody who isn’t able to take a rest break or a meal break. What do you do? You can, you would then have to pay that employee an additional hour premium for the missed meal break or the missed rest break. So let’s say they missed both. They would get both premiums. However, if they missed two rest breaks they don’t get two rest break premiums, they get one and that’s at the employee’s regular rate of pay. So that is the basic. Before I move on, Derek do you have anything else you want to add to the meal or rest break discussion here? I kind of went through it. Derek: 00:29:47 You know I think, you touched on, especially this penalty here. I mean this is significant. I mean you have a lot of restaurants who are operating like three to five percent gross profit margin and if an employee works eight hours, and you break a meal break penalty, and you owe one hour of pay, you know can be way off. I mean this is what we often see when we do an analysis coming into a workforce management solution, you’re looking at the data is, if the penalties can completely eliminate profit. Can bankrupt companies. Derek: 00:30:28 I mean it’s to that point. Especially considering the look-back period that’s there and I think we may address it later, but I think, if I’m not mistaken I think more than one penalty can accrue on a single shift. Derek: 00:30:45 And so when you may feel like we often see in practice and operations is the employees feel good, they’re happy, I have a “great relationship” with them but all it takes is one and then in the face of an employee who even be happy. If they get approached by a plaintiff’s attorney from that one employee who is maybe disgruntled or has left, or has been terminated with the possibility of getting a payday, we see those employees turn very, very quickly. And so I just, I can’t go too fast past this penalty slide because I think if you are even a good operating business and you may be operating your meal breaks correctly but maybe not your rest breaks. And there are, because the penalties can stack on each shift, just please be aware and just conceptualize in your head like what would your exposure be and balance that with the time that it make take to execute some of the things Miranda is saying. Derek: 00:31:52 Getting a policy in place. Making sure your scheduler is aware of what the rules are and then making sure your payroll department is also equally. I will say paranoid about following this practice and make sure it is everyone’s job along that line. Because it really must be the scheduler. 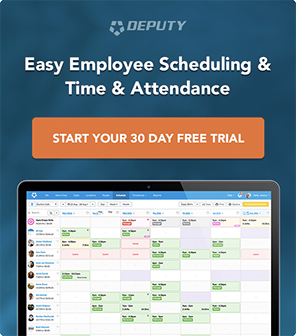 You know, Deputy, we recently published a stat that showed in the food service and hospitality space that 61% of schedulers were hourly supervisors. All right, so it’s not constant like the owner of a franchise or sort of even … employee. These are often people where it’s like, “Congratulations, you’ve been promoted, now you get to do the schedule.” And they’re just trying to fill people in. They’re just trying to like make sure that people’s preferences are considered. Derek: 00:32:41 When you take a look at that you’ve got like a 30 hour worker who we just created a schedule for two weeks and 20% of the shifts have a meal break penalties in the one spot or they’re scheduled after the … or something like that. That’s where we see in operations a lot of those things stack up and so I think, you know, as we’re going to continue through the slides here, but I think it’s, you know, there’s a lot of owners and operators on the line here but I think that all of the constituents from the scheduler to the payroll department to the shift supervisors need to be aware of what’s going on here and need to know like what the penalty exposure here is, because it’s not a little, it’s a lot. Miranda: 00:33:20 You know, and I just want to add on that, and I mean part of my job is to scare you a little bit and get you thinking about these things because they are very serious. When Derek was just touching on the fact that your employees seem originally happy I will share with you a story of one of my first wage-and-hour law suits which involved a major hotel brand it had been independently, one of the locations had been independently operated by a family. And the grandfather thinking he was taking excellent care of the staff, he’s dying, he’s on his deathbed and two of his employees come to sort of pay their respects, thank him so much for taking such good care of them. They literally came to the hospital. Said goodbye, thank you so much for everything, the grandfather passes away. His granddaughter takes over the business, not two months later, those same two employees turn around and file a class action lawsuit. Miranda: 00:34:17 It was jarring to me because it just shows you that like no matter how happy your employees seem, it’s not that you can never trust them, but you just need to be mindful of the fact that in California, it’s very enticing, it’s sort of like legal extortion to file these lawsuits and people think they are going to get very rich. The sad reality is actually that when these class actions are filed the main plaintiffs don’t even make as much as if they went out and filed their own single plaintiff action. But, you know, you’ve just got to be really careful. I have a lot of clients that are small businesses. I have a lot of home healthcare clients that are really small businesses. They always tell me, “Oh my staff is like my family.” And then I can’t tell you how many of them have been burned by their caregivers or their employees. Miranda: 00:35:09 It’s just, it’s such a tricky, tricky, position and it’s very important that the folks that you guys have scheduling for you are keenly aware of these risks and are keenly monitoring to make sure that your employees are taking their meal breaks, are taking them on time and that they’re taking their rest breaks and if they’re not that the premiums are paid immediately. Because Derek touched on the penalties are very significant. And I know I touched on it a minute ago, but just to give you an idea, you not only have to pay the initial penalty that you didn’t pay. So let’s say your employee doesn’t get a meal break, they file a lawsuit. They are going to be entitled to all the meal breaks they claim they never took, which by the way, in a lawsuit turns out to be, out of a five day work week, they didn’t take meals four out of the five days and they never took a rest break. Miranda: 00:36:05 So you’re going to have to pay for, if they can prove that, the actual meal period premium and the rest period premium, plus a waiting time penalty and that is up to 30 days pay for non-giving them, for not paying them for that penalty. And that’s where the penalties really stack up. It’s that waiting time penalty and if you all are from California you know about the target penalties will be added to that and it’s just triggers like a pay-stub violation, it’s just a floodgate, like a domino effect. So I really like Derek’s point about making sure that whoever is handling your scheduling is really paying attention to the scheduling. Is running exceptions, is checking to see, are people taking their breaks. Are they getting paid? Doing all those important things that seem like a lot of extra work but will save you hundreds of thousands of dollars, if not millions of dollars. I mean most of our class actions are … there’s a liability. So again, I don’t mean to scare you, but I do want you guys to appreciate and understand the gravity of these types of claims out here in this State. Miranda: 00:37:14 So one of the other things you really have to do out here in California is you have to keep accurate information with respect to each of your employees. You have to keep time records showing when the employee works for every shift. You have to be able to, for example if there’s a lawsuit, one of the first things that opposing counsel or the plaintiff is entitled to is the time punches for a number of years going back. So they get to go back whatever, three or four years and you have to be able to provide the time punches for that employee and the pay-stub for that employee and the rest of the folks that worked during that time. So you need to make sure you’re keeping those records, there’re penalties for not doing that. Miranda: 00:37:54 You also need to make sure that for every one of your employees you have a file that includes, their personnel file, you have all of their applications, everything that they filled out, you have all of their different rates of pay, you have alerted them to the sick leave laws in California which is another whole presentation. That your folks know who the actual legal entity is that employs them. That your folks know where the clock-in and clock-out mechanisms are for the shift that they work. But really make sure that you have these records because again without the records it’s the employees word against yours and you’re also going to get dinged for not keeping your records. And not keeping them … I would recommend everybody keep them for at least four years going back. In case whatever, you may need them for a lawsuit. Miranda: 00:38:48 Okay there we go. To make sure that you’re in compliance we want to make sure that you, someone is checking your policies. Make sure that the policies, that you have a policy for meal breaks. Make sure that you have a policy for rest breaks. Make sure that if you have these policies that there’s no language in there that mentions that anyone is on call during any of these times. Make sure that there’s nothing in these policies, there’re certain exceptions. Like I said hospitals are one exception that require employees to remain on the premises. Make sure that you’ve thought about using your meal period waivers, and you have somebody checking to make sure that those are appropriate for the type of business that you have. Miranda: 00:39:32 This is another huge one. Your employees should be instructed to promptly notify a payroll person when they can’t take a meal or a rest break or if there’s anything wrong with their pay-stub. This is huge, because, for example, that’s one of the defenses you can have. Is that look, our teams know, our employees know that they are supposed to let us know if there’s an issue and if they don’t let us know how are we supposed to know to correct. It’s a defense, it’s not the best, you want to be able to show that you are proactive. But you also want to make sure your employees know it’s written down somewhere that they know who to contact if there’s a problem. Miranda: 00:40:10 Another thing to consider is certifications at each punch. Or at least payroll. Where your employee is certifying that they were given an opportunity to take a meal break, that they took it, same with the rest break and they are properly certifying that all of the time they have reported for the pay period is accurate. And also make sure that your policies are very clear on when your employees get paid, for a premium if they miss a meal or rest break, so that they know that if they miss it they do get the premium. And Derek, do you guys, does Deputy have systems in place that allow for certification? For employees, you know, for example on any given shift? If they did in fact take their meal and rest breaks or the mechanisms they can use to alert company if they didn’t get one? Derek: 00:41:03 We do, yeah. I think there are, we have, which we’ll show here in a few minutes, which we call Active Attestation which does a real-time look up of the rule, the law that you’ve presented in California. What was scheduled and what the punch is and by looking at all three of those things dynamically we can present the correct Attestation of Certification and enforce that at the clocking clock-out to kind of prevent a lot of paper and just kind of pulling forms off the shelf and stuff like that. Miranda: 00:41:37 That’s great. Okay, so we’re going to get into Q and A’s in just a minute. But as a summary, take-away, please, please remember. Number 1. You have to provide your non-exempt employees, oh can you go back one? Yeah. Meal periods of at least 30 minutes if they work more than five hours. It has to be on or before the start of the fifth hour. And they have to provide a second meal period of at least 30 minutes if you work more than 10 hours. They have to be able to leave the premises. You can’t interrupt them. Make sure that the timing is, remember the timing is just as important as giving the break. So timing is huge, huge, huge. Don’t think that you’re giving the break and that gets you off the hook. That’s not going to get you off the hook if the break was not given on time. Miranda: 00:42:28 So the next rest period. Same thing. You’ve got to authorize and permit a paid 10 minute rest break for every 4 hours worked, or major fraction thereof. You don’t have to give a break if they’re working less than 3.5 hour shifts. I don’t know how common that is for you guys. A rest break should be taken as close as possible to the middle of each work period. Do not interrupt them. And again make sure that they are very clear that they get to take a rest break and that you’re encouraging them to take a rest break. Okay. Derek: 00:43:06 Fantastic. So we’ve an amazing run there. I know your battling I think bronchitis. Derek: 00:43:15 I couldn’t even actually tell, so thank you I know you’re trooping through this. I’ll give you about a short 10 minute break here and then we’ll open it up for Q & A. So Miranda covered, you know, the law is complicated and deep. We know in context too in California you’re having to deal with off-the-clock work, you’re having to deal with like tip credits, there’s so many layers of compliance and meal/break is just one. So this is where Deputy stands in as a Workforce Management System. Derek: 00:43:49 So just from a high level a Workforce Management System is a scheduling, and a time clock system that your business uses that helps you run the business but also helps you stay compliant. Deputy is not a payroll system, we’re not an HR system, we get very deep in the practice of making sure that the right people show up on the right day. That the time gets punched correctly and that we follow all of these laws. And you can see, kind of here on the screen, these are the things that we do. But I think with specific respect to the meal and rest breaks, as I mentioned, we know from having, you know, close to 100,000 customers on the platform that 61% of all schedulers are hourly employees themselves. So you have to think about, how you make all of this crazy complex stuff really clear to him or her. Derek: 00:44:52 So Deputy’s approach to this is to automate a lot of the process and really prevent those mistakes from happening upstream. So one of things we’ve done for California implores as we’ve just built a California meal break template. So what you see on the screen here is an employee who can be scheduled from let’s say 10:00 to 6:00. Where the meal and rest breaks can be not only assigned but can be scheduled at the correct at the correct duration. But Deputy’s approach to this is as the scheduler changes the overall start and finish time Deputy will automatically assign the correct number of meal and rest breaks. And in addition, will make sure they are at least scheduled within the threshold that Miranda mentions. Derek: 00:45:39 So you’re making sure that that meal break sort of happens between that four and four and half hour mark. All the scheduler has to do is just assign the actual start and finish time and the meal and rest breaks will automatically update. There’s certainly some discretion, sort of within their, right? That you can adjust the meal and rest break periods. But if you do change those to a threshold that breaks the rule of the law then it will send a notification and let the scheduler know, right there at the point of making that change. Derek: 00:46:13 This is what it would look like to a scheduler. Where, hey they have a bunch of people who are scheduled at this café. And so Deputy is taking into account not only the law, but also operations. So there’s a second layer to this, which is within the meal and rest break guidelines for California. We have the ability to stagger those shifts, particularly these breaks to make sure for example that always one supervisor is on shift. Or that we don’t have, you know, three out of four associates in each café taking off at the same time. But that we always have someone on the cashier stand, those types of things. So as long as there’re rules, the business know, which of those rules should be followed from an operational standpoint. We input those in, but at the base we’re layering and making sure the business follows the compliance layer and then second the operational layer of scheduling breaks. Derek: 00:48:15 We can un-schedule the rest break, we can change the time of it, but this begins to help provide a case around. Look we do want our employees to take the breaks. Not only do we put that in our handbooks. But we know handbooks are often times explained at the time of hiring and oftentimes sort of just sit on a shelf. Our approach to this is to be transparent. To let the employee know, look here are the breaks. This is for this shift, and this oftentimes can help mitigate some of the claims that may come in that say, “Look, you didn’t really remind the employee of it.” Well the employer’s defense could just say, “Look I actually remind them every time they clock in at the beginning of the day. Whether or not they took that break or not, is most of the time up to the employee. But at least we did remind them of what they were supposed to do in this same view of seeing the meal breaks, and the rest breaks are also available to the employees before they even get to the shift on their mobile device or when the schedules are published. Derek: 00:49:22 So this employee here, Bentley McDonald, I think is the employee’s name. If this schedules is published two weeks in advance he would see I’m scheduled from 9:00 to 5:00 and I have my meal breaks and even when the employee finishes for the day they have same visibility. You know another layer that we offer, and this is an option, which is Miranda mentioned, look we really need the breaks to be uninterrupted right? And so, if that employee comes back from a 30 minute break, and it’s 22 minutes in, and they clock back in, that’s you know, you don’t just owe the eight minutes, you’ve actually broken the meal break rule, and you owe potentially the full hour. And so it’s important not only to have this in your handbook, but also to drive operational enforcement, like “Hey if there’s supposed to be a 30 minute break, take your full break. We want you to take your full break.” And you can see on the screen what it may look like if the employee tries to clock back in too early. Derek: 00:50:30 Now we have the ability to, there are two ways to handle this and are options in the system. Actually I’d be curious to get Littler’s thoughts on this as well. We do have the ability for the employee to override this and continue to clock in. And then we will ask an attestation question at the time of clock out. Just saying, “Hey you did clock back in early,” but we will get written confirmation from the employee that that was their choice. That the break was made available. So there’s are sort of two options that are available, but the one that you hear on the screen is, hey let’s try to prevent bad things from happening in the first place. The employee may just not know that they are back early from their break. And so just simply reminding them and say, “Hey you can take 10 more minutes.” And then once the full 30 minutes has been taken, they’ll be allowed to clock back in. Derek: 00:51:28 Did you want to comment on that? Miranda: 00:51:30 No, I actually think that that’s great. I think that, I like the option of, sometimes they do have to come back in early. Right? Sometimes something is happening that forces them to come back on. So I like they can override it so long as there’s a parameter, there’s a measure in place that allows them to explain why they had to come back in early and something that triggers a premium payment because you have to make the premium payment even if. So this is actually a good point for the group to hear. So giving them the break, if it’s not the full 30 minutes, even if it’s 29 minutes. If they come back one minute early, you have to pay the premium for the one hour. So sometimes that happens, and sometimes the nature of the work requires them to come back early. There’s an emergency and they have to come back. Miranda: 00:52:18 As long as there’s a way they can either, you know, explain what that reason was and get paid the premium or you know, as long as there’s a way for you guys to check that and address it immediately I’m fine with it. Derek: 00:52:35 Yeah, and I think we see here this tends to be cut up pretty business, like the type of business. If you were in a café or something we oftentimes see the default setting being, “Okay let’s prevent the person from clocking back in.” Because look, we might be short of staff, but the worse thing that’s going to happen is maybe the person has to wait a little bit longer. But you might take like an ambulance or an EMT technician and they’re short staffed. If they get a call, and they’re on break, like the business wants them to break that rule, they are fine paying the penalty or the premium. More from a business perspective so we see that choice being made sort of based on, what the impact to the business may be oftentimes. Derek: 00:54:14 The questions are customizable. Oftentimes the business will work with their attorney’s, we have actually worked with Littler to provide default attestation, but it certainly can be customized by the business. And so the other attestation’s that you see on here are asking the employee like, “Hey I worked this shift, and I do attest that for every five hours work for this work period I took a continuous and uninterrupted meal breaks of at least 30 minutes.” And the same for the rest breaks. And you’ll see similar, Miranda’s legal advice was not only to allow the employee to take the rest break but also the major fraction thereof is really important. Especially in California because what if it wasn’t an exactly four hour shift. Derek: 00:55:03 And so we have some other attestation triggers like at the end of a weekly or a payroll period where the last time sheet of the period. We can have the employee confirm all of the hours on their, just saying, “Hey look I am attesting that all these hours are accurate and true.” The key thing here in what we’re trying to convey is whether you do this on paper, whether you do this through a Workforce Management System, you’ve got to have the process in place that when the rules are broken that you hopefully can get that information that the employees made that choice. But you also need records in case you need to pay the employees a premium. That’s oftentimes what we see as a huge gap is when the person who’s on the floor might tell the employee, “Yup, no problem, please come back early from your break.” But it’s oftentimes it’s because the store or the café or whatever is busy and then they just forget at the end of the day to leave that back with payroll to pay the premium payment. Even though there was agreement between the manager and the employee, it just doesn’t make its way back. Derek: 00:56:13 So the reason we call this Active Attestation is really for two reasons. One, we will dynamically present the right question. But then, based on the employee’s response to this, so you can see can answer yes or no, if the employee answers no to one of these questions we automatically flag the time card. We send a notification to the supervisor in the payroll department and then we automatically add what we call a shift load, which is just a premium payment in the form of that one hour, and it puts the time card in the staging status. Has it been pushed to payroll immediately because we know sometimes these things need to be investigated. Just because the employee says they didn’t get their full 30 minute uninterrupted break doesn’t mean it did or didn’t happen. Derek: 00:57:02 But it does mean we need to actively give the business a notification to let them know they need to investigate it. But we go ahead and apply the one hour penalty payment whether or not the meal or rest break attestation was answered adversely and even if the answer is “Yes I did take my break.” And we detect that they did not take their break. We will see right through that because the schedule connected to the time clock will still trigger the notification and flag the time card for the manager and say, “Hey look even though this person answered yes they did take it, we actually don’t see a punch for it.” So you probably want to get some documentation, just from the employee, directly from the employee. Derek: 00:57:47 Typically, we see this through our news feed, which is like a private communication platform where the manager will then send a message to the employee and say, “Hey it looks like you said you did get your meal break, but we didn’t actually see the punch. Can you please reply to confirm what times you took your break.” Because often what we see here in this scenario is like the manager, or the scheduler goes ahead and edit the timecard. They go ahead and edit that and then it starts to get into a spiral of other issues where a plaintiff’s attorney loves it when the manager or supervisor changes the time cards and maybe doesn’t give visibility to the employees. Derek: 00:58:26 In that case, even if a time card is changed Deputy can send a notification back to the employee saying, “Hey look your manager made a change to the time card, just letting you know. Press here to confirm or press here to challenge that.” So we got a lot of backstops built in here, but I think the overall message is you need an operational plan whether it’s pen, paper, Excel. To have documentation around this and then have a connection with your payroll department to make sure if you did make an operational request to break the meal break rules that you actually pay the employees what they’re supposed to be paid. Miranda: 00:59:06 I love it, I think this is great. I wish all of my clients had this because I think it is such a game changer. I think this product is so cool. So yeah, so very cool. Want to answer some Q & A’s? And I know this is a crash course, that it’s really a crash course on meal and rest break law. There’s a lot more there but I hope you were able to get through the basics out of it and you know, have your antennas up about potential issues you might be facing. Derek: 00:59:37 Yeah absolutely to recap here we have an open Q & A session. We’ll run it for like about 10 minutes, if needed. On the Zoom panel you can type in questions directly and then we will call those out. There’s not a live audio option so you’ll need to type in the questions in the Zoom panel and then we will be able to answer those. So we’ll give it just a minute to accumulate those questions, there’s already a few pending and then I will call those out here. Derek: 01:00:06 I see the questions coming in. Miranda are they popping up for you? Miranda: 01:00:23 I’m getting [inaudible 01:00:23] popping up, but I don’t see the Q & A. Oh there we go, I don’t know what just happened. Derek: 01:00:30 Okay cool, no problem. I’ve got the Q & A open right now. So I will just call these out to you Miranda. Jordan is asking, can you make certain shift’s hour long lunch breaks and other 30 minute lunch breaks? Can you make certain shift’s hour long lunch breaks and other 30 minute lunch breaks? Miranda: 01:01:02 I’m not sure I quite understand the question. Is your question, can we get a little more clarification on that one? I want to make sure I give you the right answer. Derek: 01:01:12 Sure, Jordan so if you wouldn’t mind just typing in a clarification there, and we will come back to you. Okay so Peter had a question back at 2:15. He was asking, do any of these conditions change when talking about in-home care services? I think probably right around that point was just talking about which meal breaks are eligible and the voluntary nature of the waiver. Miranda: 01:01:38 Yes so there’s a whole other area of law that deals with in-home care services. It’s super, super specific, there are, for example, if you’re providing in-home care and your employee classifies you as a personal attendant, let’s have a separate conversation about that because there are rules about that. For example certain domestic workers are considered personal attendants and they are exempt from some of these laws. So yes that’s a good question. If you have that scenario I would recommend that you have a quick call with whoever it is, your labor attorney, and walk through that because you are potentially exempted from some of these rules. If you do have an employee who qualifies as a personal attendant. There’s different overtime rules that are triggered for those folks and they depending on what their classification is may not be required to take the same meal and rest break. Miranda: 01:02:35 But that is a tricky … and you want to make sure that your people are properly classified that way. We did not talk about classification, if at all, during this presentation. But I do have clients who like to classify their employees as exempt to avoid these requirements or classify them as personal attendants, for example, when they’re not really. So you want to make sure that you’ve got the classification right. And we would be happy to hop on a call and talk with you about that stuff. And I think my contact information is on here and we have a whole team of people here at Littler who are happy to discuss that stuff. Absolutely. Derek: 01:03:14 Fantastic. All right, we’re going to keep going here. Looks like James [Mercen 01:03:18] has a question, if that’s the James Mercen I know, great to talk to you again. So James asks, does the meal break punch in and punch out have to be live at the time of the meal break punch in and out or can it be filled out after the shift. Miranda: 01:03:36 Great question. It can be filled out after the shift. Now, so that happens a lot, right. So the only tricky thing about that is in a perfect world it would be filled out live. It would be filled out, there’s a clocking out simultaneously with taking the break. That’s my number one recommendation. But if you can’t do it that way I will take any day of the week a fill-out after the fact. One thing I really want to encourage you guys to be mindful of though is the benefit of clocking out in real time is you’re getting those actual punches to the minute so your time sheets don’t look like lunch from 1:00 to 2:00 every single day of the week. That is not super believable or helpful. Miranda: 01:04:12 It’s better to have you, like I gave you my Nanny example, like when she would clock in for the day, her handwritten time would be 8:07 until 5:33. That looks a lot better than 8:00 to 5:00, 8:00 to 5:00. So if you are having folks fill out at the end of the day when they took their punches, make sure they are recording them to the minute. It’s really important for your credibility if you ever have to defend claim. Derek: 01:04:40 Fantastic. Okay we’ve got a question from Joshua here who says, you mentioned having a time sheet review, to have employees sign to say their hours and breaks are correct. Does this need to be signed each pay period or could this be on file with language that the employees will notify the payroll department if they have an issue? Miranda: 01:05:01 Great question. So in my perfect world, it’s done every pay period. I understand that doesn’t happen. So what happens with 90% of my clients is the latter. They have, they execute something on file that says, it’s part of their onboarding process, that says look, I understand I have an obligation to make sure that I accurately report my time and I’m going to do that. I understand that a failure to that can result in discipline including and up to termination. But like I said A+ best line of defense, you’re doing it every pay period. I know it’s hard though because a lot of your businesses aren’t focusing on these little things. Right, this just feels so secondary to what your actual business is. But it’s something to really consider when you’re here, especially in California. Derek: 01:05:46 Fantastic, and Jordan just updated his or her question on the, so it says, can I create specific shifts in Deputy where some shifts get an hour lunch break, the other shifts are created with 30 minute lunch breaks. Employees will know the difference when they go to pick up shifts. Derek: 01:06:06 Absolutely, so Jordan with the, we had an updated break planning relief about three months ago where there’s just a small little down arrow on the shift model, and when you click that, it opens up where you can then, instead of assigning a meal break, just like a 30 minute break, or a 15 minute break, you can actually schedule the break. So it’s very subtle. We didn’t sort of change the world because some, not everyone wanted to like schedule the breaks. But if you go into any of your shifts you can then schedule when those breaks are. And when you send those shifts to the employees on the … when they are looking to accept or decline or trade and swap, the meal and rest break detail is present, so they will know in addition if you want to put any other information you can put it in the shift comment section. Jordan, if there are any other questions on that just hit up our live chat team, or you can contact me after the webinar. Derek: 01:07:09 Great questions, there are a couple of Deputy related questions, which I’m going to bundle those here in just a moment. There was an anonymous attendee who asks, by no effect, for the eight hour shift example. Does that mean if you work over six hours but no more than ten you are not allowed to waive your meal break? Miranda: 01:07:38 No, you could in that situation. If I understand your question correctly you could because you’re not triggering the second meal. As long as you’re not working 10 hours and one minute, you can waive the first, well let me back that. You can waive the first one under certain circumstances. This would not be the waiver of six hours or less. This would be a waiver related to the nature of the work. So again I want you guys to be really careful when you’re thinking about waiving. Waiving is something that you’re going to have to defend and you’re going to have to pay them for that time. So I think if I understand your questions correctly, you could have a waiver in that circumstance, but I think that would trigger the nature of the work tag waiver not the I worked less than six hours. My shift is only six hours so I elect to waive the lunch. Does that answer your question. Derek: 01:08:31 I believe it addresses it based on what, if it doesn’t then anonymous attendee can write another question. Another question from Brittany [Cerlina 01:08:44]. I’m glad to see some home care folks on here. Can you comment on the number of class action suits you are seeing against home care agencies. Miranda: 01:08:55 You know you guys, what I’m seeing a lot in the home care agencies roles in California, is I’m seeing a lot of audits that are happening. Not quite as many class actions. They’re there, it’s not to say there not class actions are rampant in California. The thing you want to be a little more careful of when you’re dealing with in the home care world is I’m seeing a lot of audits. In 2018 I had a number of audits that we were defending. EDD audits. And that is typically when one of your employees goes it triggers all kinds of things. I was seeing it a lot because folks were issuing a lot of 1099s or their caregivers were claiming that they were not, they were entitled to unemployment. Miranda: 01:09:40 Then in that case, that’s a whole different beast. But I’m seeing a lot of audits and that’s where I’m a little more concerned on the home care side. They’re definitely are class actions but again, depending on how your business is structured and depending on whether or not you are a registry for example vs. you have a W2 model you are going to face different issues. The W2 models do have more class actions. I don’t know which model you’re under. If they’re a registry I’m seeing more of EDD audits happening over there. Derek: 01:10:12 Great, another question, this one is somewhat detailed here on some, a specific scenario, so I’ll read it slow. If an employee waives their meal break and enters that they worked from 12:00 p.m. until 6:12 p.m. with a 12 minute unpaid break, would this fall on the employer? Even if it doesn’t fall on the employer is this incorrect or illegal meal break practice by employees? Miranda: 01:10:43 Can you read it back to me one more time. So they are working from 12:00 to 6:12. Derek: 01:10:44 12:00 to 6:12 is correct, with a 12 minute unpaid break. Miranda: 01:10:56 Why would their break be unpaid? Is this supposed to be a partial meal break or is this supposed to be a rest period? Derek: 01:11:03 Let’s see, I’m not exactly sure the way I’m inferring from this is maybe a partial 30 minute meal break period and they’ve come back early is the way I’m reading it. Miranda: 01:11:16 So yeah, that would that fall to the employer and the employer would be responsible for issuing a premium for that employee not taking a full 30 minute unpaid break. If the 12 minutes are over, right, and they don’t have a waiver, and they are working more than the five hours, they are entitled to the meal break. And they don’t take a full 30 minutes. Then yes, you’re going to trigger a penalty payment. Miranda: 01:12:00 Yeah, I’ll just say this. A lot of times I will tell you you’re folks may not actually want to take meal breaks. I see that a lot and then they only turn around and claim that they wanted to take them when it’s helpful for them in a lawsuit. So you’re going to have to guard against that. And they’re going to tell you, I don’t want to take it, they only want ABC, depending on whatever their job is. So again you want to really make sure you’re encouraging them and reminding them to do it and they understand that they have to and a failure to do so could result in a termination. I would be very strict about that. Me personally, if I’m advising a client, I don’t mess around, I don’t let them decide not to take it. You’ve got to take it. If you don’t take it guess what, you’re going to be written up. If you continue to not take it and you continue to get written up I’m going to fire you because this is really serious. Derek: 01:12:47 Right, right, excellent. Can you comment about the hospitality industry where housekeepers at some hotels don’t get rest breaks, but get meal breaks since they need to clean through a certain amount of rooms. I guess this could also may extend to other businesses where just the nature of the business may not allow for that type of break. Miranda: 01:13:12 Yeah, I do not like that at all. I understand what you’re saying. I actually have hospitality clients, they should still be getting rest breaks. I understand there’s a lot of work to be done, I understand that they get the meal break. But if you’re not giving them rest breaks. And it’s not even, I’ve seen clients be like, “Well can I just not give them the breaks but just keep paying them the premium?” I would not recommend against that. I do not think a judge would look kindly upon that and it’s very likely you would address additional penalties. So no matter how hard it is, I really encourage you all to encourage your team to take rest breaks. There are very few industries where doing so is really not consistent with the nature of the work they are doing. And I like I said, the first example that really comes to my mind is like a security guard, right? Because they’ve got like one person manning in the area and they really just can’t relieved of duty. That to me is somebody who might have a justifiable reason for not taking a break. Miranda: 01:14:10 But like a housekeeper who is, you know the housekeeping staff at a hotel, I think you would be hard pressed to look a jury in the face or a judge in the face and explain why that person could not take a 10 minute break. Derek: 01:14:24 Fantastic. I’m thinking about a scenario in which Deputy helped. It was a multi-location C-store in a gas station and their manner of practice was overnight they only have one C-store manager. Midnight shift graveyard, there’s only one person there manning the store. When they by default are paying the meal break penalty and just having the employees waive it. Employees are actually wanting to work those shifts because they got paid extra. It sort of opened up the awareness of, okay when I work in the day they were, it was sort of like more under a magnifying glass and the floor actually wasn’t following the meal break practice on the day shift as tight as they should and now that the employees were sort of aware of it, they started making claims. Derek: 01:15:10 So what the employer, in that scenario you would think, my gosh that’s a business where the practice, you know they really should waive it because there’s only one person. What they did is they just, listen when you want to take your rest break, just lock the store up, put a sign on the front of the door. You can go back to the break room and look you can just pay with a credit card, or we’ll be back in 15 minutes. You know there are ways around those scenarios. I would just think about. Probably the penalty is not worth whatever operational practice that you may have. Miranda: 01:15:43 I could not agree with you more. So I was hoping no one on this call has ever been hit with one of these lawsuits. But my goodness I think if you are it completely changes the way that you operate. Derek: 01:15:54 Absolutely. Let’s see we have a couple here. So we have couple questions just on the attestation with inside Deputy. So I’m going to address that real quickly. I’m actually going to come back and share my screen here. Because I think this is just quickly for those of you, there’s like four questions there. So the attestation of the questions is actually found up here in our global settings. And there are time sheets and there are these time sheets custom fields. And so here you can add a new custom field. Select that this is a time sheet field and then you can go through the rest of the process. This would be like a yes or no question, you can type the question out. Apply it to the correct part of the business. We even have certain triggers that those can trigger, you can make those appear on every time card or you can trigger those if a break hasn’t been taken or if a time sheet is short. We have other triggers as well. Derek: 01:16:55 So as opposed to being in the location under location settings that’s up in the global settings. And of course if you have any questions on setting those up you can just hit our live chat team or give us a call and we’ll be glad to help. Derek: 01:17:08 We’ve got a few more questions here. Iris asks what if they took a 20 minute break instead of a 10 minute paid break? Could we add the additional 10 minutes as an unpaid break? Miranda: 01:17:25 To answer your question, you could. I would not. Because here’s the thing. You could do that, you could do that, you could take the additional 10 minutes theoretically but all you’re going to do by doing that is create like a disgruntled employee over 10 minutes who is now going to be on a mission. So I would probably, what I would probably do instead is write them up and say, “Don’t do this again.” And the next time you do it, I have a right to deduct it from your pay. But, my gut tells me not to. You could, but I wouldn’t. Instead, I would discipline them and just be very clear about we fully want you to take your 10 minute rest break but we don’t expect you to take a 10 minute and turn it into 20. Derek: 01:18:11 Right. We’ll take two more questions here. One seems to be home care specific and then we’ll take a hire one. This one comes from Lucy Andrews another friend from the health care industry. So hello Lucy. Even if the care provider is classified as wage order exempt and is working 12 hour shifts with a written waiver and you hedge your bet and pay the one hour penalty to avoid potential risk. Miranda: 01:18:40 Okay so they’re classified as exempt under the wage order, right you say they’re working 12 hour shifts. Miranda: 01:18:48 And you want to be safe too and pay them a penalty? Derek: 01:18:51 It appears too that they have a written waiver. Miranda: 01:19:00 That’s a, you know I’m going to give you a caveat with this one. Without knowing more about the facts I will tell you. If I understand your question correctly, you could. I still though, you could, you’re saying as a way to sort of protect yourself extra layers of protection. Yes you could. But I think if before you actually roll that out you should run your business, make sure everyone’s properly exempt and classified correctly. And make sure that someone gives you the blessing on that, not just me on this chat with a very little bit of information. My initial reaction is yes you could if I understand your question correctly. But I don’t want to give you false sense of help and have you thinking that’s sufficient. I would still encourage you to have someone look at that and make sure that is appropriate and correct. Derek: 01:19:47 Fantastic. Okay we have a few other questions from Nick on just specific Deputy operations. Nick I’m going to follow up with you directly. I don’t see that we have any additional just overall, there is a question from Sean on even under wage order 15 and are working a 12 hour shift, do they have to be able to leave for their two meal breaks even we pay them for all 12 hours. Miranda: 01:20:21 Is this a home health care worker who is like responsible for like taking care of somebody else in which case I would say your answer to that is likely a no. But same caveat as the one I just gave. Derek: 01:20:32 Fantastic. So look we’ve gone a few minutes over but there’s been a lot of questions. Hopefully that’s been helpful. We will send out the recording. I guess we would like to just one, thank Miranda from Littler, for preparation and the content. And then maybe Miranda if you wouldn’t mind just leave the audience with any kind of parting thoughts that maybe summarize and then we’ll close. Miranda: 01:20:56 So again thank you guys all for listening to this. I do want to let you know this was really sort of a crash course like basic wage and hour 101 and just terms with me on rest breaks there is a lot of stuff to consider. You know Deputy is a great resource, I’m really impressed with the platform. If you guys have any questions I really would encourage you to find a knowledgeable employment lawyer and have them look at your policies. Your policies are your best line of defense. Your policies and your practices. Make sure someone is looking at them. Make sure you’re doing them right. And I always believe it may be a little more costly up front to get it all straighten out and done right away but it will save you a lot in the event you are every audited or you’re facing a lawsuit. You know Littler does have a ton of people across all the different States. We’ve got, you know, a hundred people in just the LA office alone. I am just one of many who are here to help. So please don’t hesitate to reach out and let us know if you have a question or if there’s something you think we can help you with. Derek: 01:21:57 Fantastic, well again Miranda thank you for the content. You couldn’t tell but you were fighting bronchitis as well. So thank you and thanks to the audience. Thanks for your participation. We’ll send out the webinar recording within 24 hours. Keep running your businesses, well, compliant and we look forward to speaking with you soon. Have a great rest of the week. Bye-bye. Miranda: 01:22:19 Thanks, all. Bye!